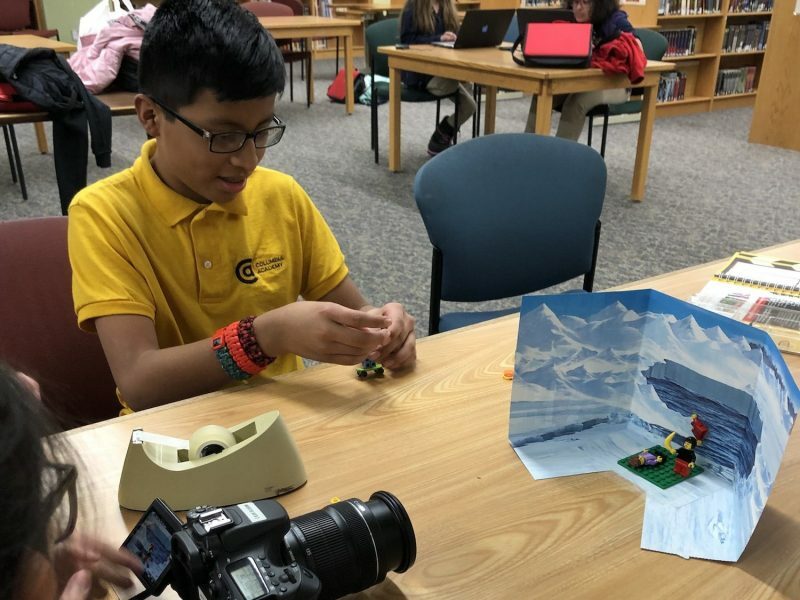 At Columbia Academy, the winter trimester for the Inverted Arts film class as part of their Encore after school program was a great success. We had 9 students that spent the trimester learning about two types of films. The first was documentaries. The students learned how to interview each other and then edit those interviews. The second exercise was in animation. This is where the students really came to life! 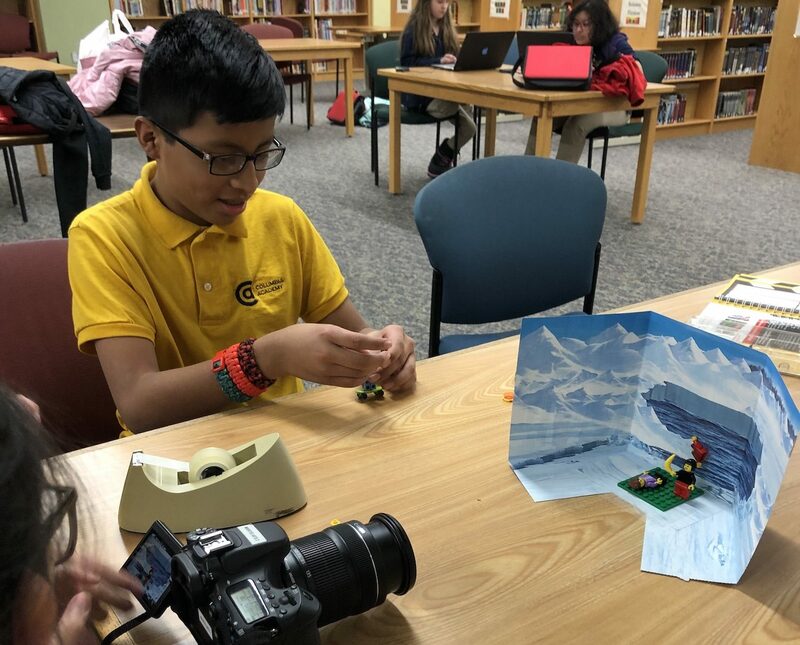 We made a Lego Stop Motion set and the students created their own stories about saving people from shark attacks and traveling to outer space. All on the table tops in the library. The Legos proved to be the best thing we had done all year. The students learned how to compose a shot, block their actors (with literal blocks even! ), and by going a single frame at a time, they truly saw how movies come together. While we’ll probably never know if the next Spielberg was in that class, here’s what we do now. The kids that were in there left with a better understanding not just of how movies are made, but how they themselves are made. They each got to experience the joy of creating characters and seeing them live out a story, just like they themselves are characters made to create in the image of their Creator.